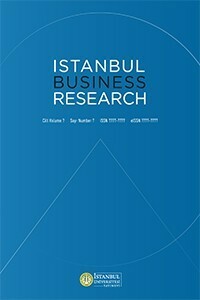 Istanbul Business Research (IBR) is the official journal of Istanbul University School of Business. It is a peer reviewed journal and published twice a year. The journal (formerly named as Istanbul University Journal of The School of Business) first begun its publication life in 1972 and since then it has been performing as a prestigious academic journal in social sciences. Beginning from V.47 (1) 2018, Istanbul University Journal of The School of Business (ISSN printed - 1303-1732) has changed its name as Istanbul Business Research (IBR) and become an online journal. IBR has been indexed and abstracted in ESCI (Emerging Sources Citation Index) since V.46 (1) 2017.